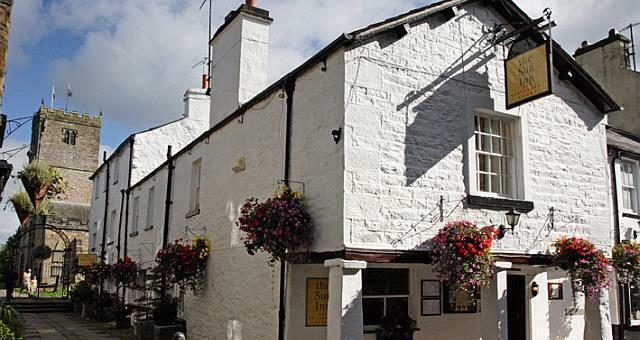 Sun Inn015242 71965work Restaurant with RoomsA warm hearted 17thC inn set in the heart of the beautiful market town of Kirkby Lonsdale overlooking St Mary's church. You can walk within minutes to Devils Bridge, Ruskins View, famously painted by Turner, and the stunning walking area of the Lune Valley. Enjoy a drink and a chat in comfort with roaring log fires or relax in the lounge and wine library. Offering a restaurant dining experience with high quality food created from local fresh ingredients. Sun Inn sometimes limits bookings to 3 or more days. Larger room with king-size bed, armchair, hand-made furniture and large LCD TV. Tea/coffee with fresh milk, biscuits, mineral water, hair dryer and free wi-fi access. En suite bathroom with extra wide/extra long bath with rainhead shower. Last minute booking at this lovely hotel. Didn’t eat here , except for breakfast, but the room was clean, lovely toiletries, comfy bed. Going to stay longer next time! 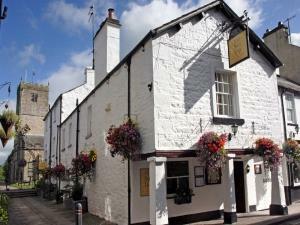 A warm hearted 17thC inn set in the heart of the beautiful market town of Kirkby Lonsdale overlooking St Mary's church. You can walk within minutes to Devils Bridge, Ruskins View, famously painted by Turner, and the stunning walking area of the Lune Valley. Overnight accommodation is offered in smart, clean rooms with fresh crisp linen, pillow top bed and puffy duvet. A hearty Cumbrian breakfast will set you up for a day visiting the Lake District, Yorkshire Dales, Trough of Bowland, golf at Casterton and Kirkby Lonsdale, fishing, bird watching at Leighton Moss or for the more adventurous, scuba diving. From M6 to jct 36 and then A65 signposted Kirkby Lonsdale, in the centre of town. Main line station at Oxenholme near Kendal, just 20 minutes drive.